Kate Mason at twenty-three, feels as though she has lived through enough sorrow and pain to fill generations of lifetimes. On the outside, she wears a beautiful mask. On the inside, she’s a million, jagged, broken pieces. She blames herself, not only for her parent’s death, but for her brother’s blindness. For Kate there is no hope of silencing the chaos in her head. There is no forgiveness for what she has done to her family, or herself. There will never be anyone to love her and her shattered past. Cooper Sullivan recently moved to Malibu and was immediately adopted by a stray black lab he named Sadie. 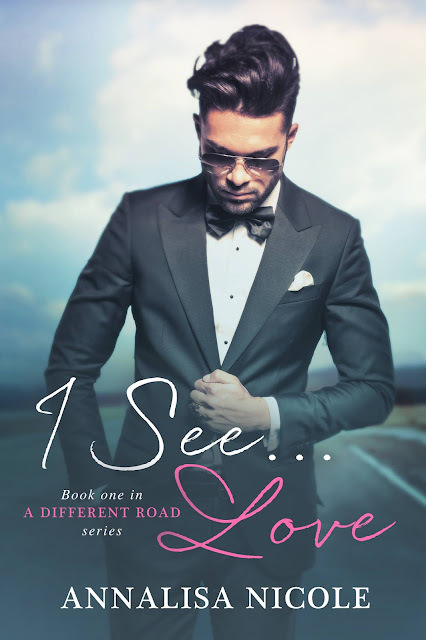 Cooper soon realizes there is something very special about Sadie when she is drawn to a beautiful woman, with a kaleidoscope of emotions that churn deep in her eyes. Cooper sees Kate’s broken pieces scattered all around her, but he finds himself wanting to show her just how beautiful each piece is. Underneath her mask, he sees an even more beautiful woman, and he wants to help her put the broken pieces back together. I’m an "Indie" Adult Contemporary Romance author. A thought occurred to me in December of 2012 that maybe I could write a romance novel. So, I went to work with the encouragement of my husband and my sister-in-law. It didn’t take long to figure out that I really enjoy writing. I published my debut novel Take A Chance in October of 2013. I've been married to my wonderful husband since 1996, and I love being a stay-at-home mom to our two teenage boys. I was born and raised in Michigan, but currently live in sunny California. I’m a self-published author, and it’s been an amazing, crazy, wonderful journey.